Iran supports territorial integrity of Ukraine on the basis of the international law. "From the very beginning of the conflict between Ukraine and Russia, we have always been guided by the norms of the international law and supported the territorial integrity of Ukraine. We have repeatedly reminded the representatives of our business circles, Iranian businessmen that they must not go to Crimea without the consent of the relevant authorities of Ukraine... We have not taken any political steps that could violate Ukraine's sovereignty... We have close ties with the Russian Federation, but they have never affected the good relations between Iran and Ukraine," Ambassador of the Islamic Republic of Iran to Ukraine Mr. Manouchehr Moradi said at a press conference on February 5, an Ukrinform correspondent reports. Commenting on the vote of the representatives of Iran against the resolution on the problem of Russia's militarization of Crimea and the waters of the Sea of Azov and the Black Sea at the United Nations General Assembly, the diplomat reminded that the Ukrainian side "[has been voting] in favour of the anti-Iran human rights resolutions, drafted by the United States and Canada, for 15 years." According to Moradi, the United States and Canada "turn a blind eye to the human rights situation in many countries of the world and look only at Iran." In this context, he expressed regret that Ukraine also voted for those anti-Iranian resolutions. "However, we understand the scale of Ukraine’s relations with these states, and we do not focus on voting issues in our bilateral relations. We try to make sure that these issues do not become an obstacle to our relations. 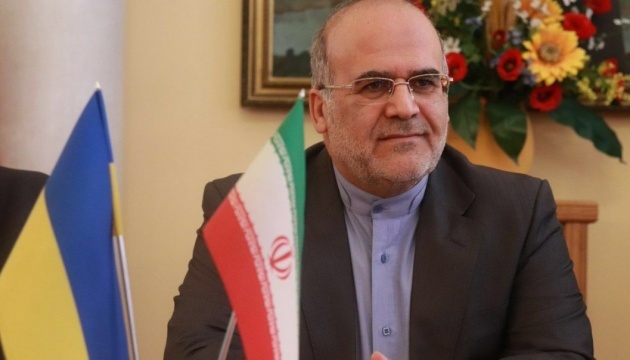 As for our vote in December 2018, it was not our vote against Ukraine, it was simply a manifestation of our stance on such acts in the international arena," the ambassador of Iran noted.